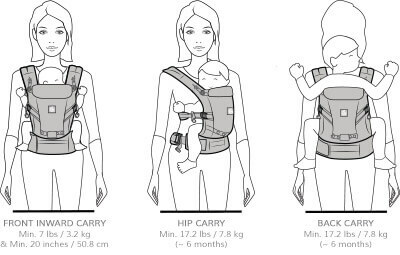 ADAPT baby carrier offers Ergobaby’s renowned comfort and ergonomics in an easy-to-use 3 position carrier that adapts to your growing baby from newborn to toddler (7-45 lbs). 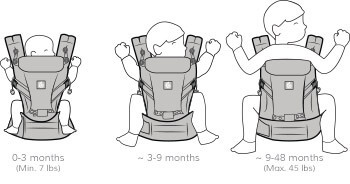 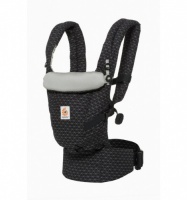 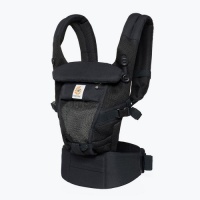 New comfort features for parents with crossable shoulder straps and lumbar support waistbelt. 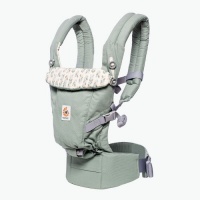 Gradually adjusts to hold your growing baby in an ergonomic M-shape position at all ages. 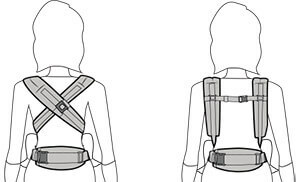 Front-inward, hip and back carry.